Have you ever stumbled across a letter you wrote (or an essay, or a birthday card) that for some reason didn’t get where it was supposed to? I was looking through my ‘Drafts’ folder in Gmail for something that should’ve been there, and wasn’t. Then I wondered why I had so many drafts; mostly, I use that folder to keep copies of pieces as templates I might use again, such as letters accompanying a writing submission or the kind of email response I make repeatedly. 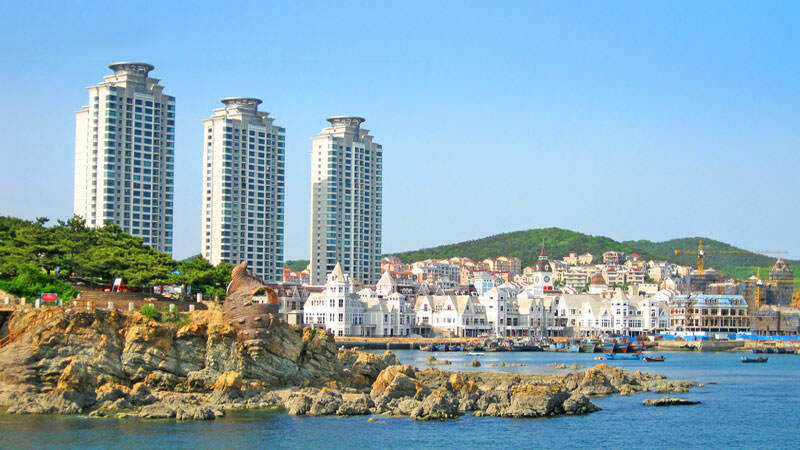 Dalian is a coastal city of over 6 million, nestled on and among hills. Like all Chinese cities, it is constantly changing. There is already much we wouldn’t recognize. Diana, though sometimes missing her professional and voluntary environmental work, has filled her days with the practicalities of making life work here, and with making friends and sundry human connections. She is so good at it. (For example, our good friend Anna visited again this week at our home, and her stories are greatly appreciated!) Diana is the centre of our shared life of service, and we have made many (most of them university students, as we live within walking distance of three universities) wonderful friends here, many of whom share our love of learning about matters of spirit and an ever-advancing civilization. When school resumes, she will be pioneering two courses in Environment and Business at one of the neighbouring schools (not mine) as well as teaching some conversational English to undergrads. And life will get a little busier, but our essential purpose will not change. Sam, we sometimes think, has the hardest job of us all, as we have placed him in a local Chinese public school where he often has felt bored and alone. 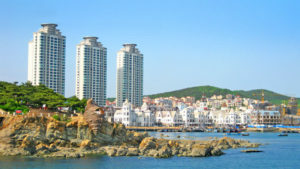 But he likes being in Dalian, in general, and has made fast and furious friends with an American boy (and his sisters). The first two months were very tough for him, but it gets better and better. Thankfully, he really enjoys the teaching and be-friending activities that so frequently bring new people into our orbit and into our apartment. He happily sings the prayer that begins “O God, guide me” in a Chinese that sounds pretty fluent to my ears, and with the help of “Alice”, another of our dear co-workers and friends, his Chinese speaking (and some writing) is progressing speedily. And it was, you know, even if it was occasionally maddening. Even if, now, I can’t quite remember who Anna was. I’d been waiting for this call, off and on, for several years. When we gathered in 2001 to say our goodbyes, we were only slightly more surprised than she was when my mother awoke from a near-coma and wondered, wide-eyed, “Am I still HERE?” But when Big Sister called and said, “I think you should come right away,” I wasn’t ready. I had packing to do, work that felt urgent, a little boy to prepare for a road trip, and a head and heart to examine. I knew Mum was more than ready to leave this world behind, and I wanted to be in hearty and complete approval. About halfway to Hamilton, Pam called again. “Where are you? Do your best, but you might not make it.” I got misty, but kept on driving while I murmured my requests to other kingdoms. Sam was awake in his booster seat, and unusually quiet. He knew whatever a six-year-old can understand of death. I felt the sweetness of solitary meditation, purposeful motion and the best of company, all at the same time. And about 45 minutes later came the last call. “She’s gone. Don’t rush. Be safe.” So I missed Mum’s last moments, missed the bedside family choir (off-pitch, no doubt!) and their send-off hymns and hand-holding. And that was all okay with me. My heart was fine, my goodbye felt whole and good, and the best farewells at this point were spiritual ones, anyway. Knowing it would be a late-night Howden festival, I tried to get Sam to sleep. I told him the 86-year tale of Enid M.E. (Skinner) Howden: her sisters, her work, her husband, her interests, her five children, and those 13 grand-kids. Well, there was no sleeping there, especially as we got closer to number 13. Sam loved that story. Sam finally did fall asleep briefly, while I met his big brother Will at the Hamilton bus station and headed for Idlewyld Manor, where Mum had lived out her final and steadily declining months. There were no more hymns, but her body was still in her bed. She didn’t look much different that night, the 26th of October, than she had when I last saw her alive on Thanksgiving weekend. Not much was working for her then. Her legs were useless except for restlessness and discomfort. She was hugely weary. Daily activities, for this sociable and energetic woman, had become very narrow and limited, and the world beyond her bed was often alarming and incomprehensible. Except when her family was by her side. It was so easy to bring joy to her, and sometimes even a good old joke. She could recite Psalm 23, her high school fight song, and Portia’s mercy speech from Merchant of Venice, in which she’d starred a mere seven decades before. She thrilled to see the faces of her children. She’d nearly never had a bad word to say about anyone, and now she had nothing ill to say of her life or its end. She was distilled spirit. So I sat with that exhausted shell that had been my mother dear. I sent more beseeching out to wherever it is that prayers go, and got a little more specific with my requests. I called for a warm welcome for Mum from my father and from some of the departed ones that I have most admired. Among them was the Canadian Bahá’í pioneer Mary Maxwell, later known as Ruhíyyih Khanúm, who was on one of her epic journeys when her vehicle broke down in an African wilderness. She turned to her companion and said, “Well, whom do you know Up There who was a mechanic?” (Now that’s a specific, a practical kind of faith. That’s humour and grace on the rocks.) Also among those souls I called upon to welcome Mum, though, was old Cleveland Indians star Rocky Colavito. She had been an Indians fan long before the Blue Jays received her loyal allegiance, and this was a bit of spiritual whimsy that she would have enjoyed. I certainly did, though it was slightly compromised by my later discovery that Mr. Colavito is still among us. Now, Mum must have really enjoyed that. Diana took the train down to join us for the weekend of family plans, story-telling, laughter and commiseration. All sweet. The family gathered to bury Mum on Monday, October 30th, and I walked very happily around the streets of my home town on that sunny day. My bride, my littlest boy and I got back to Ottawa the next day, and I wrote this quick note to our friends and neighbours. My lovely Mum died last Thursday. She was a great lady and an example of some of the best and most important things in life, say I, and she will continue to be, especially in the way of her passing. “I have made death a messenger of joy to thee; wherefore dost thou grieve?…Death proferreth unto every confident believer the cup that is life indeed. It bestoweth joy, and is the bearer of gladness…” I have never known the reality of these beautiful words (from Bahá’u’lláh’s Hidden Words and from Gleanings) as much as I have felt them with Mum’s death. She was a “confident believer”, a steadfast Christian who was open to all and accepting of the many paths to the Creator. “I’m content with my lot,” she had told me near the end, possibly her last words to me. “I’ve had good kids.” Her “wonderful family” was the thing that she remembered and treasured, and all the disappointments and difficulties of her life, even the very limited physical/mental life she had for the last couple of years, were nothing to her. She was unafraid to die, and she was grateful in the midst of all. She was loving and generous and the doors of her house and her friendship were wide open. It was a sweet goodbye for our family and community of friends, and a radiant departure by Enid M.E. Howden. Most of you wouldn’t know my mother, so I hope you’ll indulge me this little remembrance. I couldn’t help myself. My older sons, Ben, Will and Dave, helped to carry her body to its resting place next to that of my father. I was strangled with pride in these terrific men and with love for all my family.